Is Setting Up a Beehive Difficult? Setting up an apiary is not difficult. Once it’s up and going, you will find that it’s rewarding as you watch your colony of bees come and go while eventually harvesting your very own honey. It can’t get any sweeter than that! 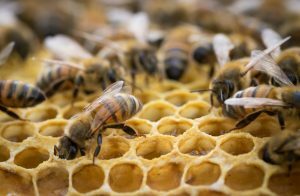 Where should a beehive be placed? 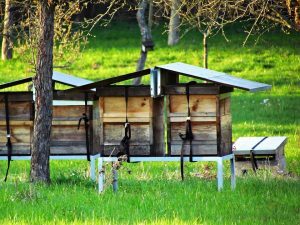 A few things need to be taken into consideration when deciding where you will place your beehives. Bees need sources of water, nectar, and pollen near the hive. Both nectar and pollen should be within several hundred yards from a hive. Water: bees need water to drink which also helps in developing the mixture of honey and pollen that is used to feed the larvae. Some water sources could be a pond, stream, bird bath or dog watering bowl. Each of which should be near the hive. Hives need to face south and have an equal amount of exposure to both sun and shade. Winds wreak havoc on a hive. Ideal placement is key to protection against storms, blustery winter winds, etc. 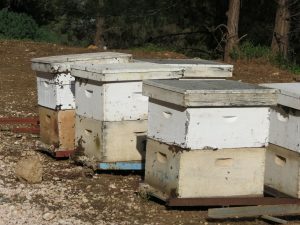 Place hives in a dry area that offers plenty of drainage during seasonal thaws and rains. Tilt hives slightly forward to allow condensation to run off. Place your apiary in a location that you can easily access. Carrying tools and equipment to harvest your hive honey or do hive maintenance can be difficult to haul if your hive is not accessible by vehicle. Going at it on foot in the dead heat of the summer is not fun. 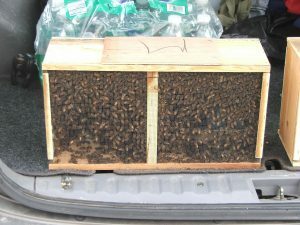 Where do you get the boxes (hives) for the bees to live in? There are several options for acquiring hives. Your hives should be fully assembled and placed at the selected site upon a foundation. You should start with only one brood box initially. Adding another one is suggested once the bees have filled the first box three-quarters full. By doing this, it prevents the bees from making combs that distorted. How do you get the bees? Believe it or not, there are bee breeders that you can purchase your bees from. The bees generally come in a package. Bee suppliers are mainly located in the south. You will have the option to buy your packages with or without the queen bee. Do your homework and learn about bees. Having the know-how under your belt will make the process from start to finish fun. Lastly, it is highly recommended that if you are allergic to bee stings that you forego this hobby and try something different.